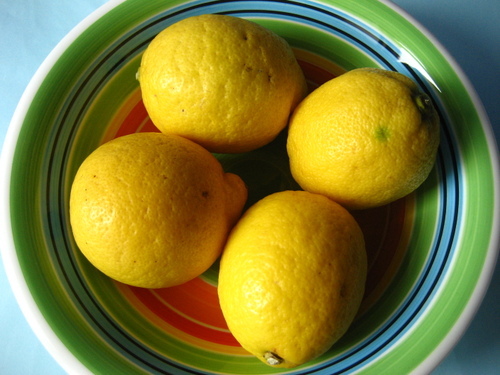 Lemons really do it for me, the colour of them, the zingy taste, and most of all the scent of them. I always have them in the house as I use them a lot in cooking and baking, and I like the look of them sitting in a bowl in my kitchen. I like to bake anytime the mood takes me, but there is something very homely and comforting about Sunday afternoon baking. Yesterday I baked one of my absolute favourites :: lemon drizzle cake. The recipe comes from this book which was given to me by J's Nana. In her time she was a supreme baker, we have some very treasured recipes that she's handed down to us. This recipe for lemon cake is divine, its easy to make, the kitchen smells delicious and it always turns out light, moist and zesty. Bake in moderate oven gas 4/350F/180C for 45 to 50 mins until risen and golden, firm on top. As soon as cake is out of oven, while still in tin, stab it all over top with a skewer (my kids LOVE doing this bit! )..pour over the lemon syrup. Oh, I love Sunday baking, especially the big mug of tea and cake that follows. Lovely! I've just made onze with lime instead of lemon. Equally delicious! I've made this cake a few times now, and it is delicious. I just made a batch of elderflower cordial and subbed that for the lemon syrup. It's quite a delicate flavoured cake, but yummy! I thought you might be interested, especially if you get the time to make your own cordial this year. I wonder if there is any way to receive your news by email. I don't know how to use feeds and I really don't want to complicate my life. I do not even find a way to contact you in your blog. There is a big lack of communications here! Hello Lucy I thank you so much for sharing your living space and town with all of us. I live in a city neighborhood in Sacramento California. our neighborhood is full of older homes but not quite the history of yours. Our home is 70 years old and many of the homes around us are even older. We have a small city yard and love the flowers and vegies we grow. I love yarn craft and I am currently working on a blanket for a dear friends birthday. Once again thanks for sharing. Jane E.
Just made the lemon drizzle cake and can hardly wait for it to cool down to put a knife into it. Smells yummy. Hi Lucy, your cake sounds divine. However, can you give the measurements again using teaspoon, tablespoon or cups. I live in Sarasota, FL and I cannot understand the English measuremens. Thanks you. I love the your blog and follow it when I can. Love your blog! My ancestors were English and much to my distress moved to the states. Love the English countryside and your lovely way of speaking. I am going to try your drzzle cake as soon as I make a few purchases. 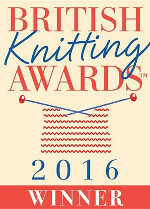 Keep up the wonderful blog! Please! How delicious,I too used lemons on a regular basis,I have been looking for a lemon loaf just like the one you shared.perfect with tea and even ice tea as summer is a month away. I truly enjoy your blog,Its full of wonderful things. Hi Lucy - I'm a coeliac so made this with gluten free flour instead of the ordinary kind and it works really really well, moist and absolutely delicious! Thanks for the fab recipe. In the States caster sugar is called bakers sugar. Lucy, this recipe is exactly what I have been searching for! How serendipitous that it showed up in my feed today. Thank you! Thank you so much Lucy for this excellent recipe ! I love lemon cake and this look delicious. Just made the Drizzle Cake - I multiplied the weight in grams x 0.0353 to get ounces, they don't come out even but I have a postal scale that I used to come pretty close - I just put my ingredient in a thin plastic bag and weighed that way. Came pretty close because this cake looks delicious. Caster Sugar - I have a small Braun coffee grinder, placed the sugar in there in small batches and it worked perfect to get it to a finer consistency (a bit less than confectioners sugar; still a bit grainy). I just made this, and it smells divine but I'm sad to report that it fell. Just a tip, if you live at high altitude, you NEED to change this recipe to ensure proper rise at the proper speed. Tasty still though! Thank you for sharing the recipe Lucy! I am also a big lemon lover! I'm also in the USA and happy I found a good recipe for lemon cake… thanks bunches from my family as well, they love it! I followed your recipe and it was the best lemon drizzle cake I have had!! Another excellent find from your blog, I have made the bread 3 times as well :)) Crochet, baking & a marvelous blog that lifts my spirits every day as I work my way back through here making excellent discoveries of things to make & bake. You are such a delight Lucy, thank you for all the hard work you put into making everyone happy by seeing snippets of your life. Hello Lucy! 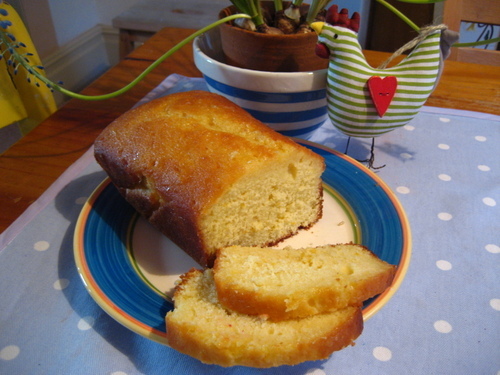 .... As I'm working my way though your blog I discovered your Lemon drizzle cake :-)) I have to tell you that it is the best one I have ever made, so simple and utterly delicious. It went down perfectly with a cuppa in the garden this sunny afternoon with more of your little hearts flying off the hook. I love this cake, super! Thanks for the easy recipe Lucy! I've just put mine in the oven. I made it gluten free so I can eat it too. Just what we need for a wet afternoon in NZ.